This packet will have your students reading high frequency or sight words in no time. 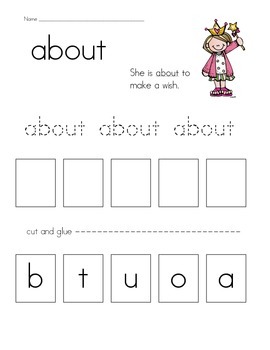 These 25 worksheets will have students reading the high frequency or sight words, reading a sentence using the words, writing the words, and cutting out letters to build and glue the words. My students enjoy this activity and I hope yours do as well. Please leave feedback after you have reviewed the product. Thanks!